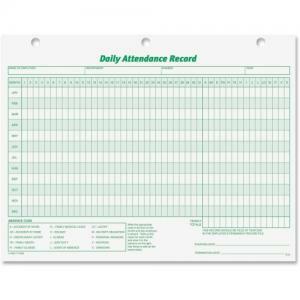 Daily Attendance Record Forms offer an enlarged format to allow easy entry of information. Three-hole punched design fits standard three-ring binders. 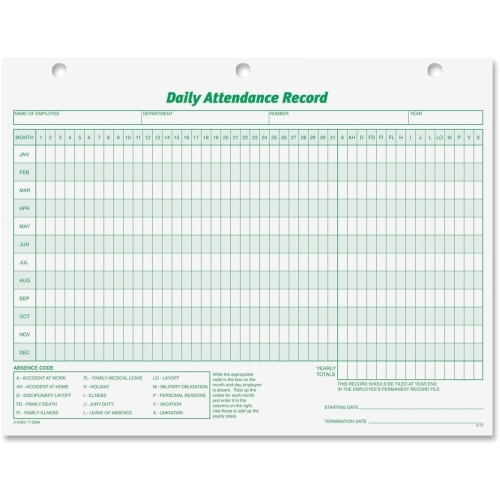 Forms are made of white index stock and printed in green on one side.